SAN JOSE 1:21PM – It was at 12:07pm that Hurricane Otto made landfall, hitting Caribbean coast of Nicaragua, some 110 km south of Bluefields or 140 km north of the Costa Rica port city of Limon, according to the Instituto Meteorológico Nacional (IMN) – national weather service, and confirmed by the National Hurricane Center in Miami. By 1:00pm Otto had been downgraded to a Tropical Storm. It is expected leave by way of La Cruz, Guanacaste, Costa Rica Friday morning, making its way through the lowlands in southern Nicaragua. 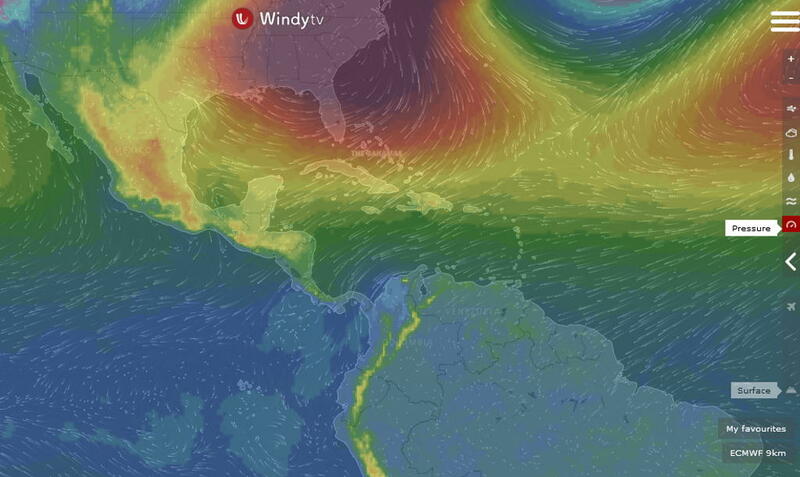 Currently the southern portion of Nicaragua and northern Costa Rica are being hit by strong winds and torrential rains. 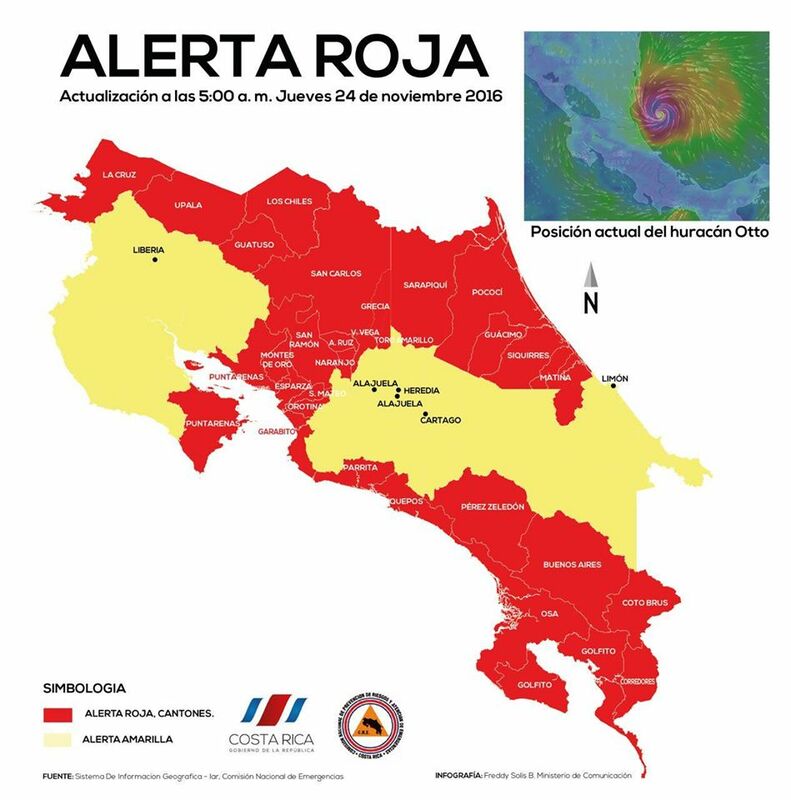 Costa Rica has expanded its RED ALERT area to include areas such as San Ramon, Naranjo and Zarcero. 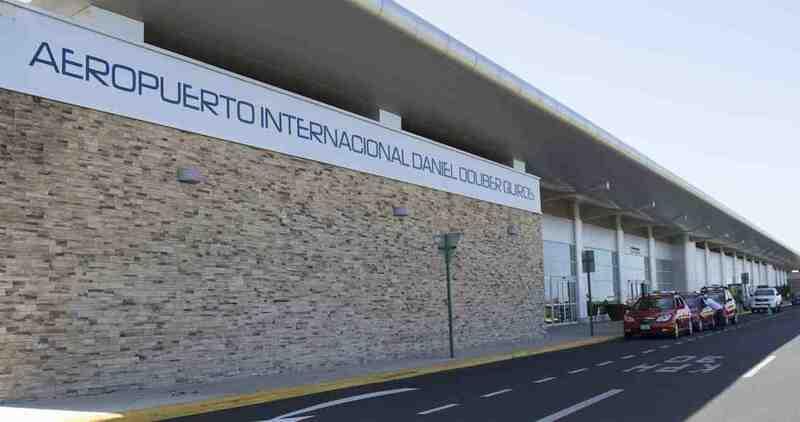 This is in addition to the Central and South Pacific coast line, the entire province of Puntarenas and the area of La Cruz, 40 minutes north of Liberia. Starting at noon today, all public bus service in the RED ALERT area has been cancelled. Buses will continue to operate in Central Valley and Guanacaste, both areas under a YELLOW ALERT. 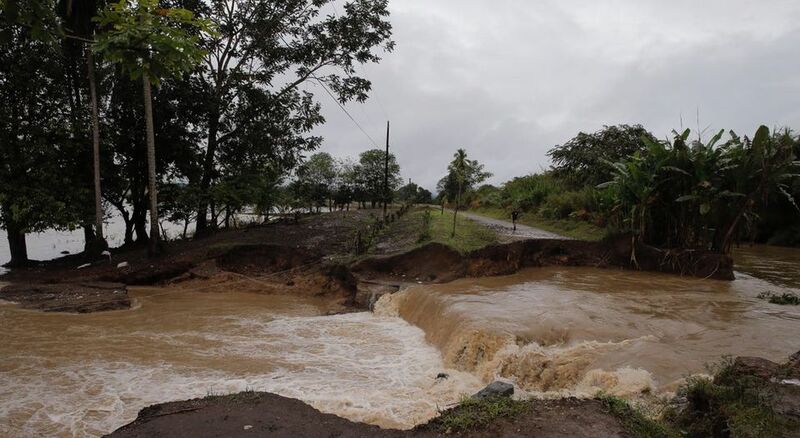 Next articleRED ALERT EXTENDED TO GUANACASTE!